This is what Minnidar used to look like in the olden days of Kreature Combat. 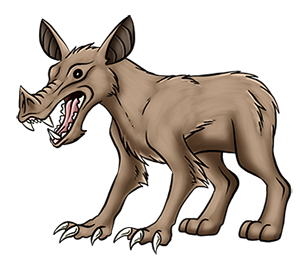 Compared to the modern breed, it was less sturdy, less specialized, less powerfully built, and more closely resembled the various Wild Kreatures that supplied its base genome. Thanks to genetic modification, subsequent versions smoothed out its design flaws and optimized it for its intended combat role, resulting in the modern version. This is an example of how Kreatures are continuously redesigned and upgraded in order to improve their battle prowess.